Shown are some of our TDI/DSR volunteers working with the Fire fighters. 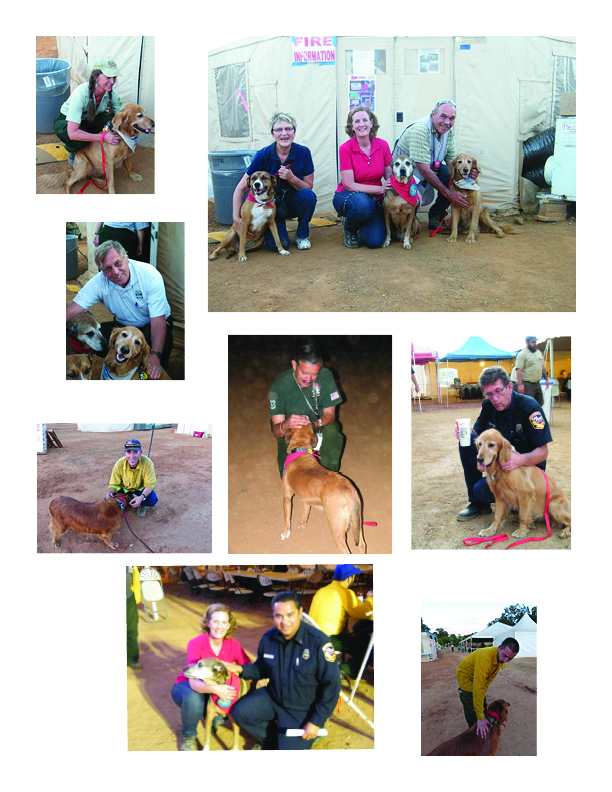 Twenty six TDI volunteers and their dogs brought some much needed stress relief to the hard working responders to these devastating fires. This site is the home of Therapy Dogs International's official blog site, providing you with all the latest news and important information about our organization from your friends at TDI. Therapy Dogs International (TDI™). Simple theme. Powered by Blogger.